I just purchased a consumer product. 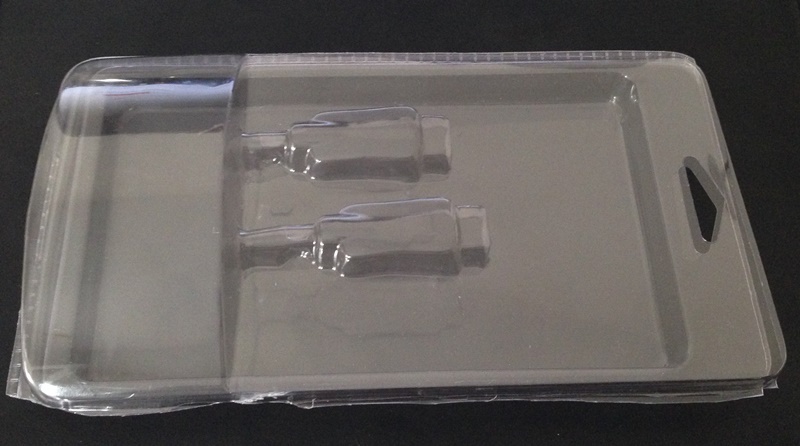 It was packaged in a clear plastic 'disposable' container. This shipping container is not marked in any way. There is no material designation or recycling code marking any where on the plastic. I called the manufacturer of the product to complain, and they told me there there is no requirement for them to do so. They told me in the USA, this is dictated by state law. I'm not sure I believe them. I can find lots and lots of stuff on what the identification markings mean, but virtually nothing on if manufacturers are REQUIRED to place them there in the first place. I've been wading through my state's published laws with extensive searches and I'm coming up totally empty. Anybody know where to look to find out if consumer products and shipping material are REQUIRED to be marked for recycling in the USA? 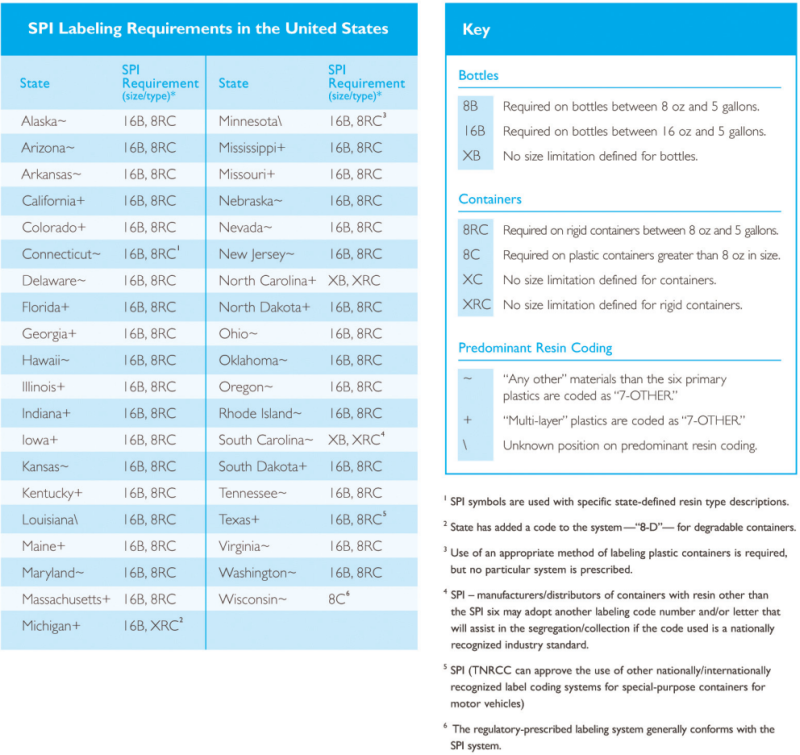 I can’t find proof in any legal documentation, but I did find several documents online that say that 39 US states require a SPI code (or Resin Identification Code or RIC as it is also called) on plastic bottles and containers. The SPI code is not required for non-containers, such as plastic films, bags, trays, etc. per use of the SPI code on such packaging as a voluntary labeling method is currently permitted. Not the answer you're looking for? Browse other questions tagged recycling waste plastic usa or ask your own question.